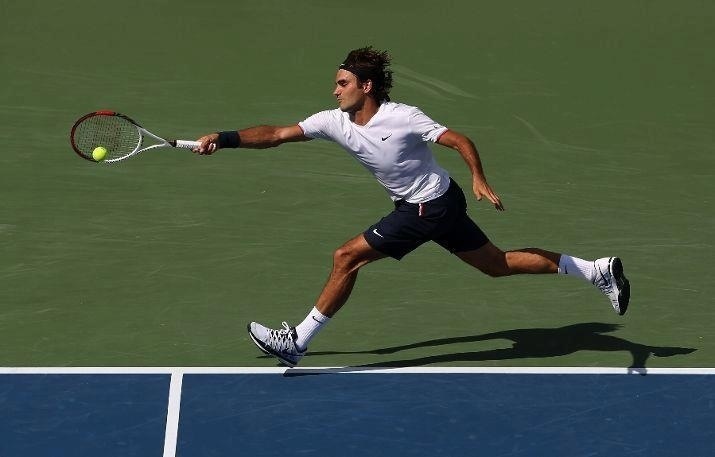 Roger Federer prevailed in the all Swiss showdown Saturday afternoon, defeating Stan Wawrinka 7-6 (4) 6-3. The match featured high quality tennis, with great shot making in a tightly contested first set. Only midway thru the tiebreaker was Federer narrowly able to edge out his good friend and Davis Cup teammate. Wawrinka kept even in the second set until Federer struck, converting his first break point after several lost chances. With one break in hand and a quick service game, Federer broke once again, this time clinching victory. In Sunday’s final he will take on Novak Djokovic, who easily defeated Juan Martin Del Potro. The Argentine was troubled with his left wrist throughout the match but is optimistic of being healthy for the US Open. Post match interview with ESPN. Post match interview for ATP World Tour. Watch full coverage of the Cincinnati masters (Western & Southern Open) on FF07tv. See draw and analysis here.